Most managers of all experience levels want to know the 10 biggest management mistakes and how to avoid them. New managers may believe that senior management wants them to “do it all.” Seasoned managers understand how essential it is to ask for help when it is needed. Moreover, the supervisor is likely to encourage any manager to use all resources available when managing a small or large team. Recognizing and learning how to avoid the biggest and most common management mistakes is important for anyone in a managerial position. The top 10 biggest management mistakes are discussed here. Hire and partner with an unorganized and effective assistant. Regardless of the manager’s industry or focus, all managers must manage their time. 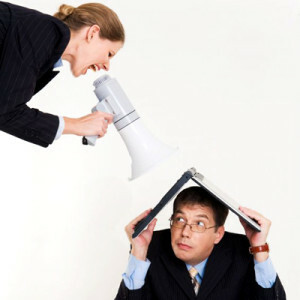 The manager’s assistant may act as a second pair of eyes and hands, stepping in to address commonly asked questions or delivering the manager’s words to others. According to author Tara Weiss of Forbes, bringing the right assistant on board helps a manager to streamline both personal and professional lives. Hiring the best people for any job. Similarly, taking the time to hire the right people to handle a position will ultimately support management success. According to the National Federation of Business Owners, a preliminary drill down to define the job is a logical, essential first step. By creating job definitions, the manager knows what she’s looking for in the potential employee. That can ultimately save management pre-screening time. Not apologizing to subordinates. Almost everyone has the experience of working for the manager who does no wrong. That’s unfortunate, because acknowledging mistakes and apologizing for them to the manager’s team members can create interpersonal bonds and set a good example. Author Susan H. Shearhouse (“Conflict 101,” 2011) says some managers don’t apologize for fear of appearing weak to subordinates. But this impulse actually prevents the manager from actually appearing strong and wise to those he manages. Lack of personal accountability and integrity in the workplace. What the manager does, rather than what she tells others to do, is a powerful ingredient to managing well, says author Don Wood in “Management Mistakes.” (2012) Simply acknowledging accountability or showing the tendency to “do the right thing” isn’t the final step, says Wood. Instead, assuming responsibility often means advising senior management of what has already happened. Before seeking to determine next steps, the effective manager maintains open communication with all team members. Not managing personnel performance. Managers new and old often lament the amount of “paperwork” required to communicate or document communication. Employee performance is of particular concern to most organizations. Meeting with employees on a regular basis is not enough to ensure that the manager has accomplished her goals. Creating records of discussions with team members, detailing next steps, or placing a team member on performance notice requires attention and skill. All managers must embrace the importance of partnering with human resources. Enlisting the assistance of human resources when communicating or planning to separate from any employee is key. Not using metrics and data to manage others. A failure to share expectations for individuals or the team as a whole can backfire on the manager. Encouraging the team to merely “sell more” or “save money” fails to communicate the steps that must be taken to generate higher sales or reduce expenses. Authors Fred Kuglin and Ray Wood (“Using Technology to Transform the Value Chain,” 2008) say that understanding the organization’s profit & loss structure can assist managers in directing employees and tasks for maximum results. Effectively using information helps managers to connect the dots between internal process and external results. Poor listening skills. Managers with finely-tuned listening skills seem to gather more information while gaining interpersonal insights. In “Manager 3.0,” (2013) Brad Karsh and Courtney Templin say that effective listening helps managers understand employees’ attitudes, stress and engagement. Good listeners also report higher self-satisfaction as managers. “Growing to the next level” often requires the manager to understand how performance data is collected in order to extrapolate and use it. She must know how to link performance data to the decision-making process. Failure to combine management flexibility with overly aggressive compliance can frustrate or prevent success. Managing with a negative attitude. Successful managers must be visionaries. The manager’s ability to predict success from any starting point is expected by those he manages. Painting a picture for those he manages helps the team to “see” success. Developing, then adjusting, the road map for success is important in engaging team members. Rather than presenting a brand new vision every few months, the successful manager has an overarching, seldom-changing outlook. In order for those he manages to share the vision, the manager must believe. His confidence, or lack of it, creates a collegial, positive team for whom success is expected. Understanding the 10 biggest management mistakes and how to avoid them isn’t hardwired information for most managers. Taking the time to consider these potential pitfalls is a wise investment for improved bottom-line results.